May 21st, 2016. Bandai's official Carddass website updated today with information on the upcoming Digital Monster Card Game D-Ark ver. 15th Edition set. 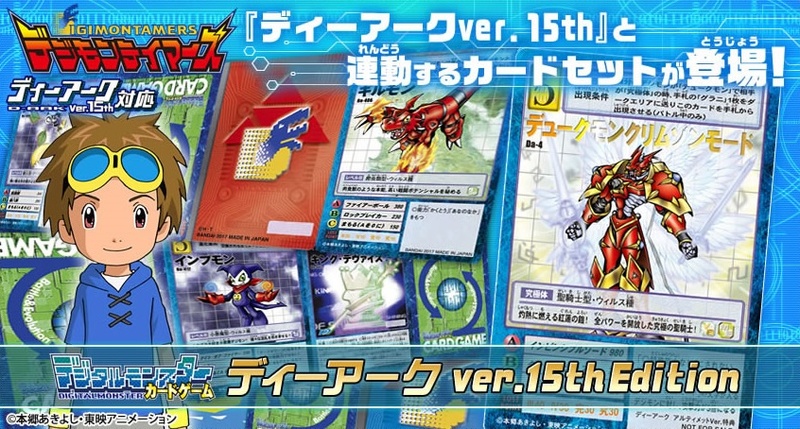 According to their webpage, it will be a special product of the defunct Digital Monster Card Game, containing 65 cards related to the Digimon Tamers anime. The set's total contents is listed below, with all of the cards listed being compatible with the D-Ark Ver. 15th Digivice. 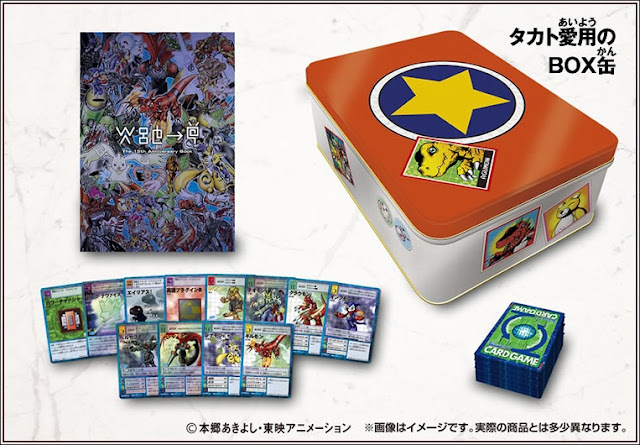 The set will also include a special storage tin, "Takato's Favorite Box Tin," modeled on the tin used by Matsuda Takato to store his cards in Tamers. This is the first time this product has been available. 65 cards in all: 59 reprints, 2 new cards (featured in Tamers but not printed previously), 2 newly-created original cards, 1 lenticular Blue Card, and 1 lenticular Red Card. The total cost of the entire set will be 6,480 yen, about $59 at the current exchange rate. The set's order page will open on July 22nd, 2016, and is limited to twelve copies per person. Further announcements are coming on June 10th, 24th, and July 15th. As stated in V Jump magazine, the set will be sold through the Premium Bandai web shop, not through traditional retailers or card shops. Like the last year's Digimon Adventure 15th Anniversary Set, the D-Ark ver. 15th Edition set does not contain booster packs nor distribution based on rarity, but rather simply includes one of everything. The Digital Monster Card Game--also known as Hyper Colosseum--has not had a "normal" booster set release since 2005, and today is rarely played physically outside of the fan-organized quad-annual DIGIMADO tournament series. Instead, the game primarily survives via online play among its Japanese fans, with its metagame remaining static for many years. i just wondering if i could play using these deck like digi-battle 2player starter set? 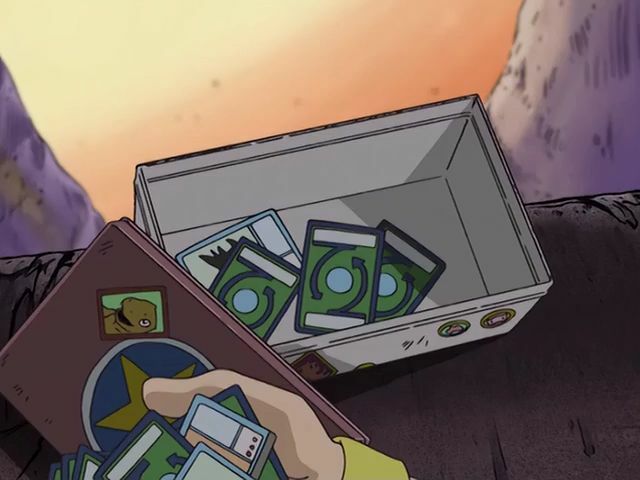 The international Digimon cards and the Japanese cards operate on completely different rules, so they wouldn't be compatible with old cards that aren't from Japan. It's a collectible set, but it is compatible with the Japanese game. Seeing as the cards are mostly reprints, they're functionally identical to the old ones.